EU To Begin Slapping Labels On Products Produced In Israeli Settlements : The Two-Way The European Parliament decision could come as early as Oct. 1, according to reports. Israel's prime minister has called the decision "a perversion of justice and a distortion of reason." Israeli Prime Minister Benjamin Netanyahu has blasted the European Union plan to begin labeling products produced in Israeli settlements. European Union officials will forge ahead with a controversial plan to begin labeling products produced in Israeli settlements in the Occupied West Bank, East Jerusalem and the Golan Heights, according to a report in the Jerusalem Post. The publication, citing an Army Radio interview with an unnamed European Union official, said the EU has set the start date for the beginning of October. "A senior European Union official told Army Radio on Monday that labeling of products manufactured in Israeli settlements in the West Bank will begin effective October 1. "According to the official, the EU was set to finalize by mid-October remaining legal and technical issues regarding the settlement labeling, such as how exactly to mark the products and how to execute the process." The proposal to add labels to products made in Israeli settlements has been around for years. However it got a highly visible boost in April when 16 European foreign ministers wrote a letter to EU foreign policy head Federica Mogherini, calling on her to accelerate the plan, according to The Guardian. Then, earlier this month the European Parliament voted in support of the measure. As NPR's Jerusalem-based correspondent Emily Harris tells the Two-Way, this has been an evolving process and many issues could arise that would delay the start of the labeling beyond the reported Oct. 1 start date. "The European Parliament decision was significant. It's clear that this is the direction the EU is headed. But it is possible that technical issues will delay the beginning of this actually happening until later. It's been a very long back and forth." Earlier this month, Israel had expressed its opposition in the "strongest terms" to a European Union plan to place labels on products produced in settlement areas, according to the Jerusalem Post. 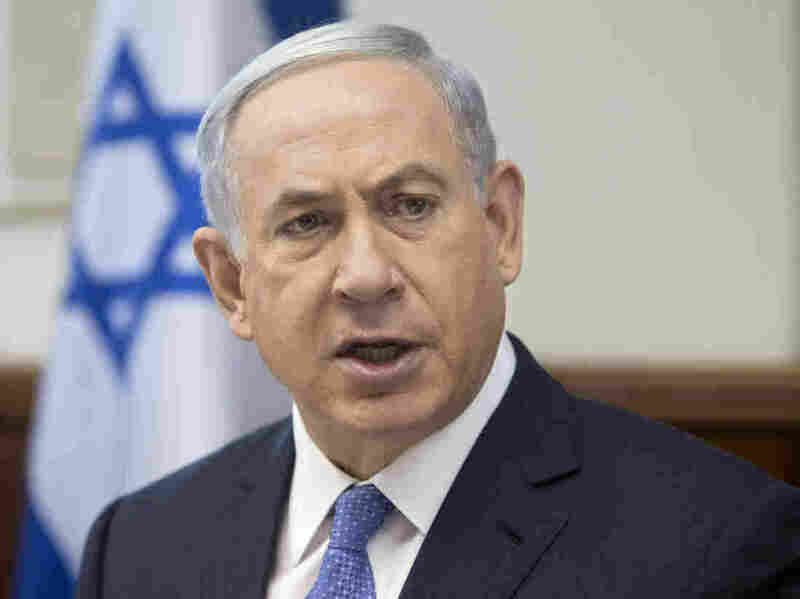 "Prime Minister Benjamin Netanyahu blasted the expression of support. 'The European Parliament decision is unjustified, it is just a perversion of justice and a distortion of reason, and I think that it also harms peace, it doesn't advance it,' he said. 'The roots of the conflict are not territories and the roots of the conflict are not the settlements. We already have a historical memory as to what happened when Europe marked products of Jews.' "